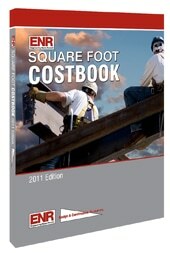 Engineering News-Record (ENR) has published the 2011 edition of the ENR Square Foot Costbook. For builders, contractors, and do-it-yourselfers who wish to stay on top of their projects, this cost book can be an important information tool to have in the library. Current Square-Foot Costs, provided by Design Cost Data. Each project is broken down by CSI MASTERFORMAT Division, and costs are reported in two ways: total cost by division and square foot cost by division. Construction Economics, provided by Engineering News Record. Cost information on the most commonly used construction materials is graphically presented to clearly show one- to five-year trends. This makes it easy to see how (and where) material costs affect overall construction costs. Unit-in-Place Costs, provided by BNi Building News. 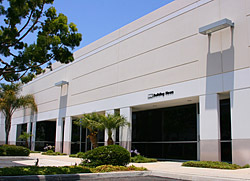 Over 6,000 accurate, up-to-date unit costs in the CSI MASTERFORMAT provide cost coverage for all aspects of construction — from site work and concrete, to doors and painting. Cost Adjustment Factors, provided by Design & Construction Resources. Prices around the country can vary by as much as 30%. These adjustment factors let you account for regional variations in labor and material costs. For each building type, buyers get a detailed narrative with background information on the specific project. This enables them to see the data in context and make appropriate adjustments to their own projections.